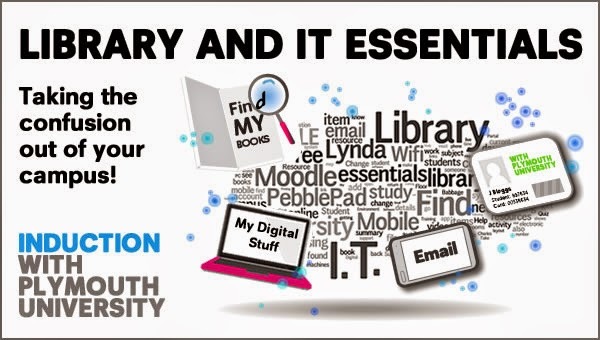 I've been working with my colleague Julie Moody who is an Information Specialist (Health, Education and Languages) to help create induction materials for students requiring guidance on Library and IT services at their disposal. This is a follow on project similar to the work for the 'Paper: Enhancing student induction to Library and IT services in Higher Education' which I'm happy to report is being used this year to good effect. I've just finished a banner which will be used on-line to promote this resource during welcome week, shown to the left.